In a world dominated by information sources like google, wikipedia and other online news channels the question whether classical learning is still needed becomes more and more evident. It is indisputable that everyone of us learns constantly in day-to-day life, but the classical form of learning, like reading books, understanding theories, listening to a teacher or even learning something that might be needed in the future seems not to have the importance anymore that it had over the past decades. The new generation does not understand why you should learn something that you don’t need now. As knowledge is widely accessible online, there does not seem to be the need to save knowledge in our brains and keep it there until it is needed. It rather seems to be the idea of accessing information and gaining knowledge the minute it is needed – without demanding to keep it forever. Why? The world is changing quickly – so knowledge we gained today can be out-dated tomorrow… It seems to be as simple as that. What does that mean for future learning concepts at schools, colleges and universities? A new definition of learning needs to be determined as knowledge, information and facts are available to everyone at any time. 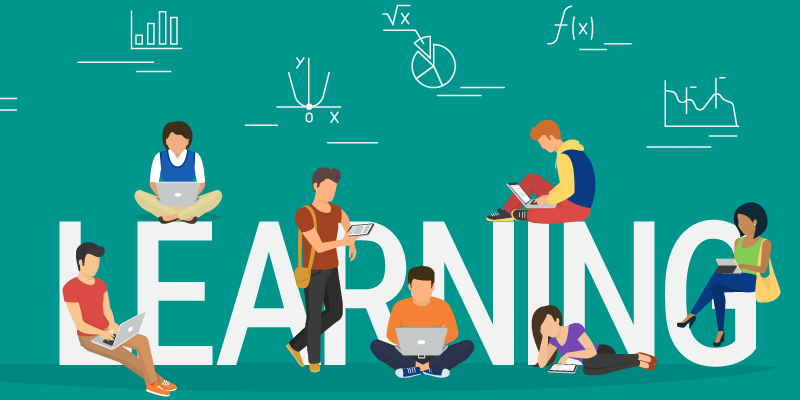 Educational Designers as well as scientists are busy with new ways of learning, which mainly include digital devices, web-based and remote learning, online learning communities, online courses, etc. But maybe we need to take a step back and think about what young people actually need to learn in order to be ready for the future? Well, in terms of hard skills they still need to learn to read, write and calculate, even if that is not necessarily needed with pen and paper anymore. Furthermore they need to be able to work with smart devices as laptops, tablets, smart phones etc, which they typically learn at an age of three already. Languages seem to be important still, even if most people think that automated translation programs will improve with such a pace now that even that is not necessary anymore. And then there is the discussion about programming skills as basic knowledge for everyone in the future. It would definitely be beneficial, but many people think that it will not be necessary as the majority will still be user rather than creator of software. So what is left? An interesting discussion occurred a few weeks back at one of my classes with International Business Innovation students. We were talking about learning offering that should be mandatory in the future. These students all at an age of about 20 years were talking about the fact that mainly soft skills are missing. This generation that is living and embracing the digital revolution with all its advantages and pitfalls feels that they are lacking the ability of social interaction! I couldn’t agree more, but I did not expect the young generation to realize it! That was one of the most positive surprises for me in this respect. So here is what they feel: Being constantly busy with devices, even if they chat and therefore interact with other people online, there seems to be a lack of skills on the interpersonal / human level. The ability to have a face-to-face conversation and to purely concentrate on a conversation partner without being distracted, the ability of “reading between the lines” or being honest with each other without hurting each other as well as the ability to truly listening and reflecting before reacting and answering seems to be less developed. It mainly occurs in the fear of approaching others on a personal level without having the possibility of hiding behind a device. Personal conversations don’t necessarily remain superficial, which means that conversation partners need to be able to show their personality and feel comfortable in doing so. There is a level of control missing with personal interactions, as everything needs to happen somehow spontaneously. A scary thought for some of the younger generation.